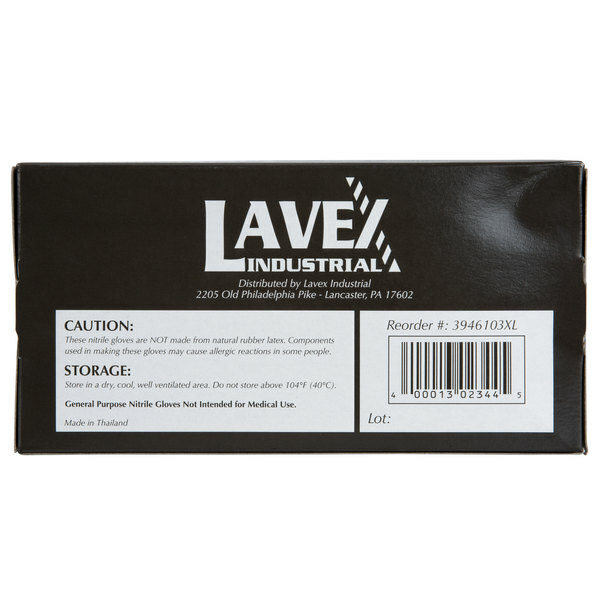 For even the toughest commercial jobs, choose these Lavex Industrial 6 mil thick, powder-free extra large nitrile heavy-duty gloves to complete the task. "I really like these gloves. They are very durable and great for pretty much anything. It is thick enough that it does not tear easy but is still flexible." 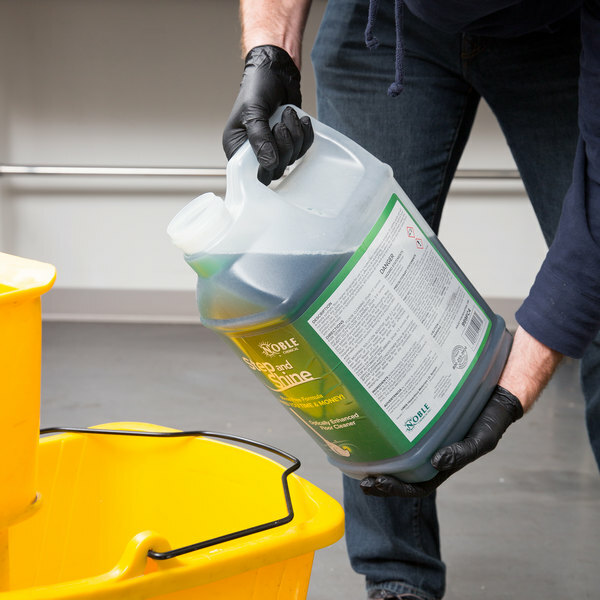 These nitrile heavy-duty gloves are specially designed for tough jobs. They can be used in the automobile industry, tattoo and piercing studios, salons, janitorial, and even industrial applications. Law enforcement officials or EMS workers can benefit from them, too! 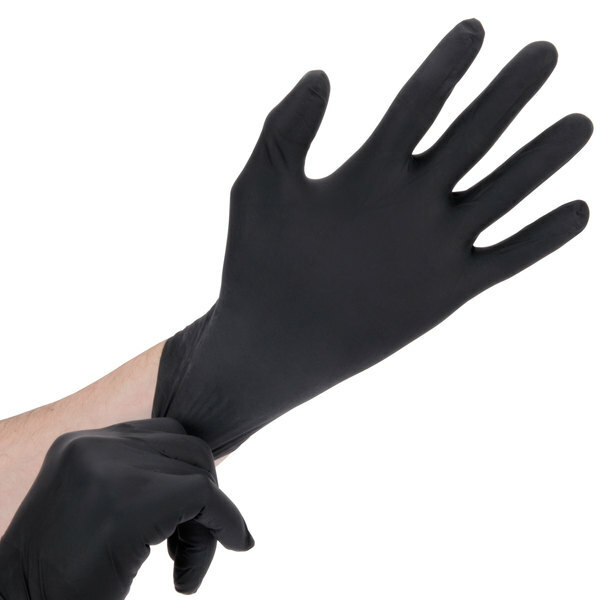 These 6 mil thick black nitrile heavy-duty gloves provide exceptional puncture, tear, and chemical resistance while maintaining the tactile sensitivity of comparable latex exam gloves. 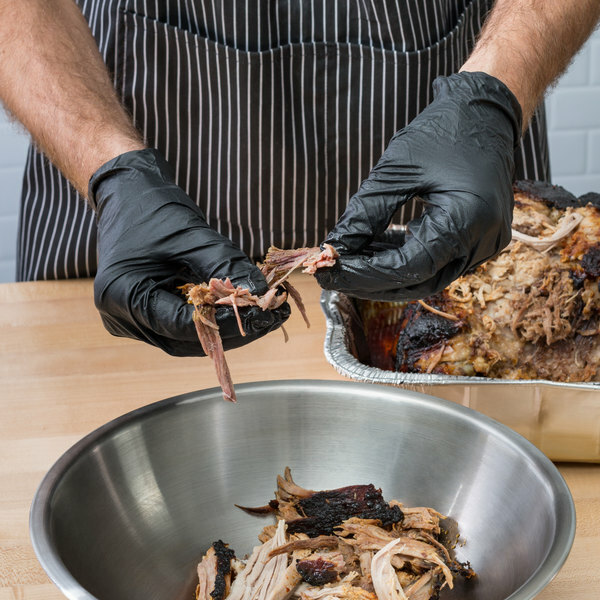 Although these are heavy-duty gloves, they still work great for simple tasks like handling barbecue for added versatility. In addition, the extra thick construction means they will last longer and not shred or tear as easily. 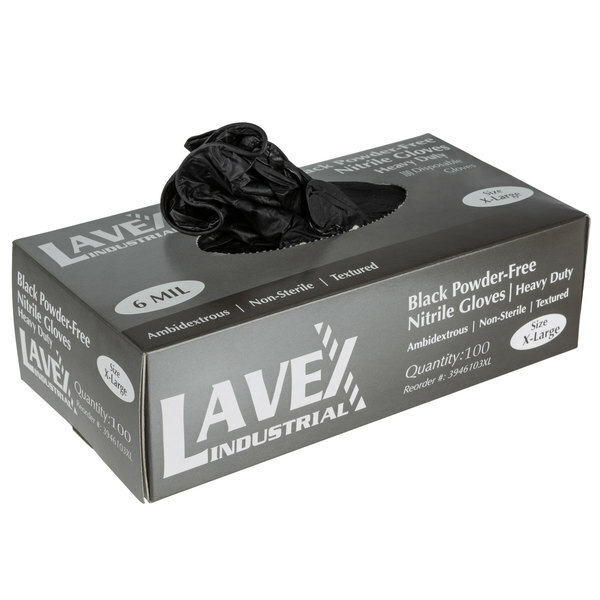 Be sure to be equipped with the essentials with these heavy-duty nitrile gloves! 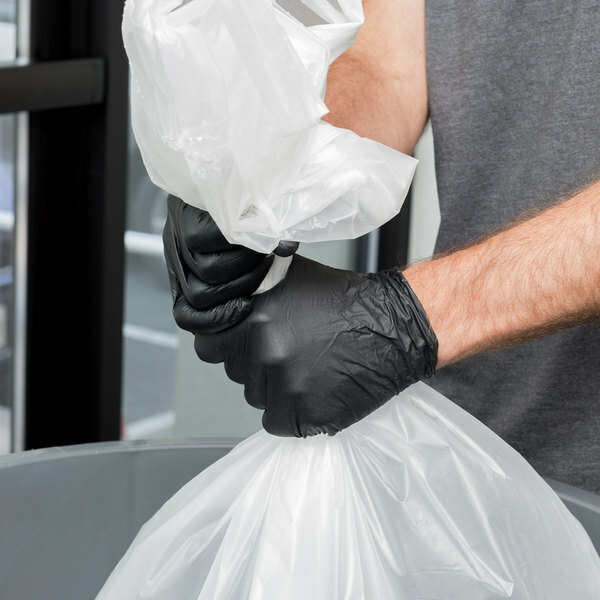 The extra large size allows you to have gloves ready for those employees with average hands. By stocking a variety of glove sizes you can be sure all employees will be able to complete their tasks with ease and efficiency. I really like these gloves. They are very durable and great for pretty much anything. It is thick enough that it does not tear easy but is still flexible. I am allergic to latex, powder gloves are horrible, and the traditional vinyl leave my hand feeling restricted. when I and/or my staff wears these you can feel the food. Also if you wear an extra large like me you will appreciate that they run true to size. These are all we buy now. I love love love these gloves. I don't use them for everyday use as they are heavy duty but when you have that kitchen job that you need the extra thickness. I can count on these to hold up to the dirty jobs when i really don't want my bare hands in the plugged drain goop you know what I mean. These gloves are good and thick. They make hot things seem a little less hot and are easy to get on when your hands are wet! Our cleaning crew really likes these over what they have at their site. Durable and they state their hands do not sweat near as bad. Back for more of these. My hubby just loves them for working in the garage, separating plants outside or for various chores around the house and yard. They are quite thick so they are best used for things that don't require you to be very precise. For that type of work we use the blue gloves sold on this site.